On 17th & 18th May, Nikko‘s famous Tōshō-gū shrine holds a legendary festival in the honour of Tokugawa Ieyasu, the founder of the Tokugawa Shogunate in the Edo era. 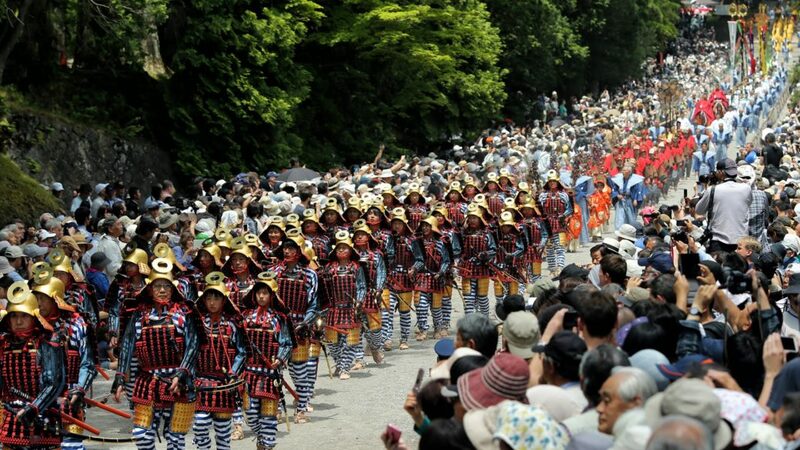 A huge procession takes 1000 samurai from one end of Nikko to the other, reflecting Tokugawa Ieyasu’s final wish: upon his death in 1616, the legendary shogun was carried from Shizuoka all the way to his final resting-place in Nikko – a journey of over 300 km. Festivalgoers are sure to be delighted by the skillful displays of horseback archery held on 17th, and the ancient court music and dance performances on 18th. The ceremony is still attended by descendants of the Tokugawa family to this day.